Storm Boy is a children’s book by Colin Thiele. Since its publication way back in 1966, it has spawned two movies, with the second being as recent as 2018, so you could say it’s still pretty relevant. And now, there is also a game immortalizing this famous novel. However, as we soon find out, it might have worked better as a book than as a game. The story follows the same tale as the book. You play as the titular Storm boy, who lives with his father near the beach somewhere in South Australia. It is a peaceful life of playing in the sand and walking along the dunes. 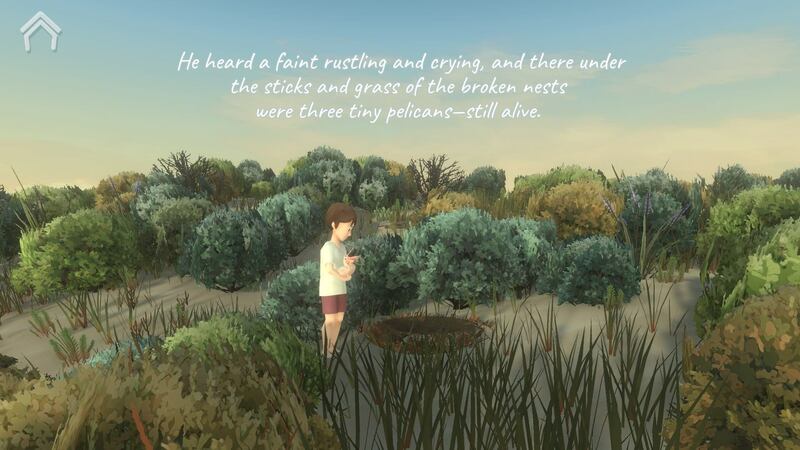 One day, Storm boy finds three baby pelicans, who he raises to adulthood. When they’re grown, two of the pelicans leave him, but the third, named Mister Percival, stays as a loyal pet and essentially becomes Storm Boy’s new best friend. Together, the two go on grand adventures along the beach and get into all sorts of interesting situations. 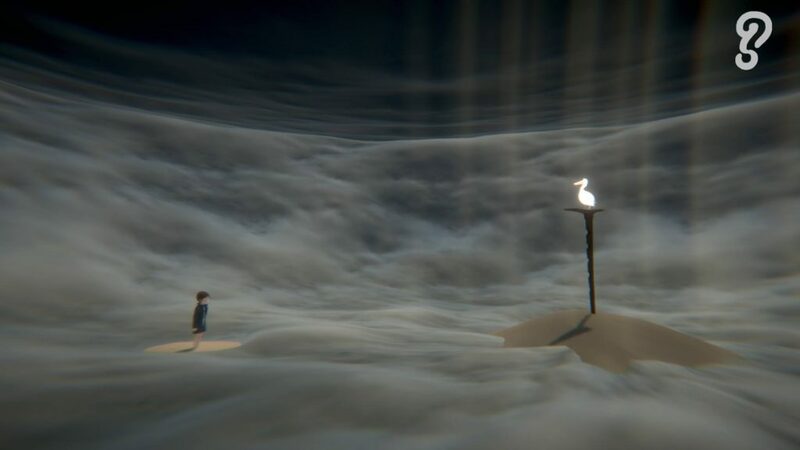 Storm Boy is a beautiful game, graphically. The animation style is almost reminiscent of claymation, in its pudginess and overall round qualities. It clearly isn’t meant to be a very realistic style, but it works for the atmosphere of the game. All in all, it is very cute in its simplicity. The backgrounds are pretty and the character design is creative enough to keep one engaged, without being outlandish. The soundtrack in Storm Boy is subtle, but nice. As there is no voice acting, to follow along with the story you will need to do a ton of reading, but that isn’t necessarily an issue. The background music itself is nice, though nothing spectacular. The songs in Storm Boy are all instrumental pieces. There is an emotional scene near the end of the game that has rather beautiful music though, which really makes it stand out as one of the better moments of the game. 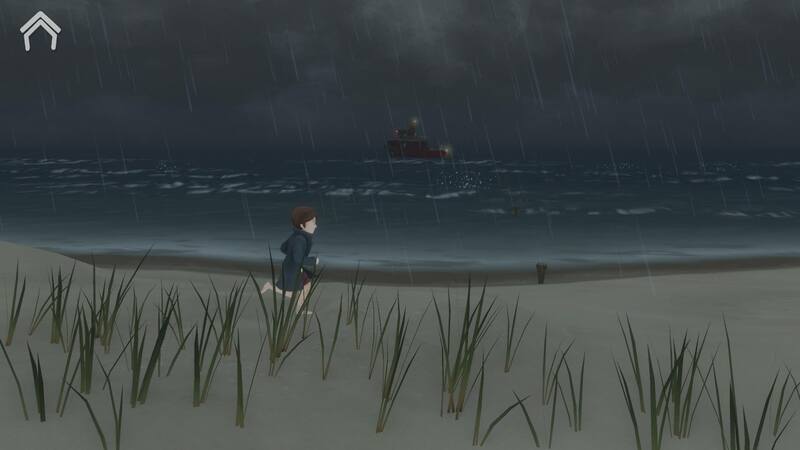 Storm Boy is an adventure game, but that is rather generous as a title. In essence, this game resembles more of an interactive version of the original novel. There isn’t much gameplay to speak of, as most of your time will be spent walking in a single direction and reading the text that pops up. This text disappears rather quickly too, so you’ll have to be a fast reader, or walk back to make the text reappear. In-between, there are short mini-games to break up the tedium of reading and they are the only real semblance of gameplay Storm Boy has. There are 9 mini-games in total. Most of them don’t even have a clear defined goal or way to win. Subsequently, there isn’t a way to lose either. They just go on endlessly. Most of them don’t require more input than clicking on things or moving your character with the arrow keys. For example, there is a game where you are Storm boy sliding down a sand hill on a cardboard sled. All you do in this game is move the character left or right as he slides down the hill. In doing so the scenery changes minutely. There are some obstacles to avoid but they do little to nothing if you end up bumping in to them anyway. There also is no end to the hill. You just keep sliding forever. Another game requires you to click on bubbles repeatedly to unbury cockles. The game urges you to collect 100 of them, but you can imagine how tedious this gets after a while. So while these mini-games are a clever way to break up the monotony of what otherwise would have just been a walking simulator with text, their simplicity and low stakes is their downfall, as they do little to nothing to engage the player. While they might be fun for a short while, they ultimately hold no substance and you find yourself quickly growing bored of them. There are a bunch of achievements to be won in each mini-game though, which might amuse some players to give them another try. Storm Boy is a very short game too. Completing it, even if you take your time on the mini-games, will take you an hour or two at most. The game has little to no replay-ability either. After you’ve completed it, you can replay the mini-games from the main menu as much as you like, but there is little point in doing so. 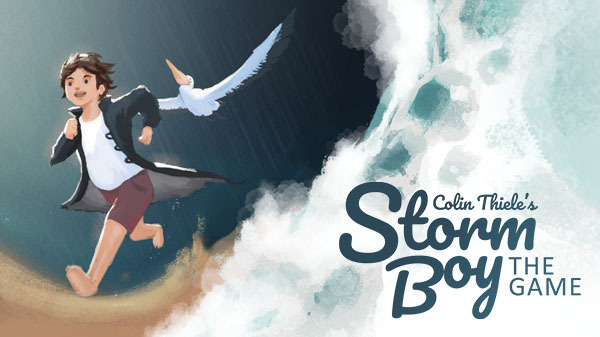 Storm Boy isn’t much of a game, and while it has a whimsical quality to it that can’t be denied, with adorable animation and soothing instrumental tracks, you’re probably better off reading the novel if you’re looking to partake in this particular story. Besides fans of the book and young children, who are probably the target audience of this game anyway, there isn’t a lot of gameplay to keep players engaged, and it’s short run and low replay-ability make this game fairly forgettable.